Eight years ago, Anne Elliot fell in love with poor but ambitious naval officer Captain Frederick Wentworth -- a choice which Anne's family was dissatisfied with. Lady Russell, friend and mentor to Anne, persuaded the younger woman to break off the match; now, on the verge of spinsterhood, Anne re-encounters Frederick Wentworth as he courts her spirited young neighbour, Louisa Musgrove. Jane Austen (1775-1817) was a 19th century English novelist, now regarded as one of the most important figures of English literature. Born into a family on the lower end of the English landed gentry, biographical details of Austen's life are scarce. Austen had six brothers—James, George, Charles, Francis, Henry, and Edward—and a beloved older sister, Cassandra. Much of Austen's correspondence was destroyed or heavily censored by her relatives after her death, resulting in a limited picture of her life. 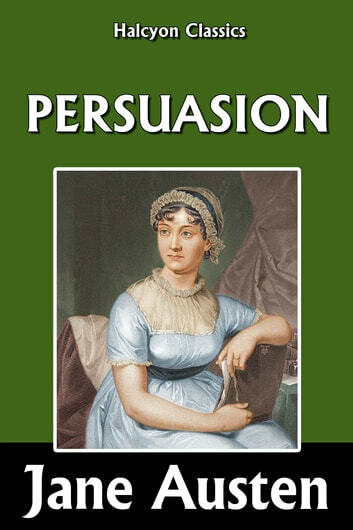 Austen produced six novels, two unfinished works, several shorter pieces of fiction, and three volumes of Juvenilia during her life. Several of her works were published posthumously following her death at age 41 in 1817. Je viens de re re relire cet ouvrage et je l'aime chaque fois davantage. It's true what most critics have said about this novel but it is still better that most romance novels...I would recommend it!